Skip the long lines and hassle of holiday travel and take a trip around the world with these gingerbread displays. 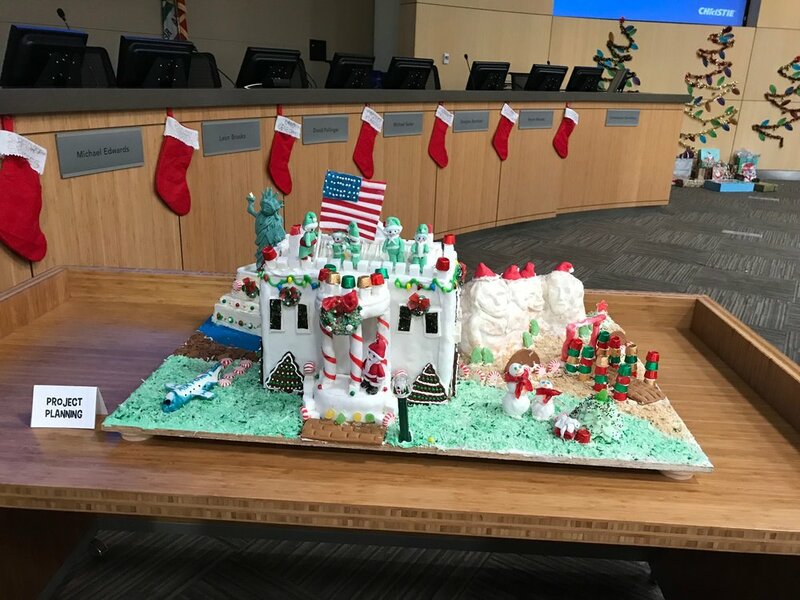 Planning and Development Services built iconic landmarks out of gingerbread and other sweets like candy canes and gumdrops. Diversity and Inclusion Champions Aleena Benedito and AJ Morales organized the competition where each PDS division represented a different country. Look through the photos. Can you guess the country of each display? Air Pollution Control District also had a gingerbread build-off. Scroll through the entries.